I saw Branford live for the first time with Sting, on January 29, 1988, and with his band in 1989 (if my notes are correct). Because of Branford, I started listening to jazz in earnest, first finding John Coltrane, then Miles Davis, Monk, and others. Last Friday I finally got to hear him live again. 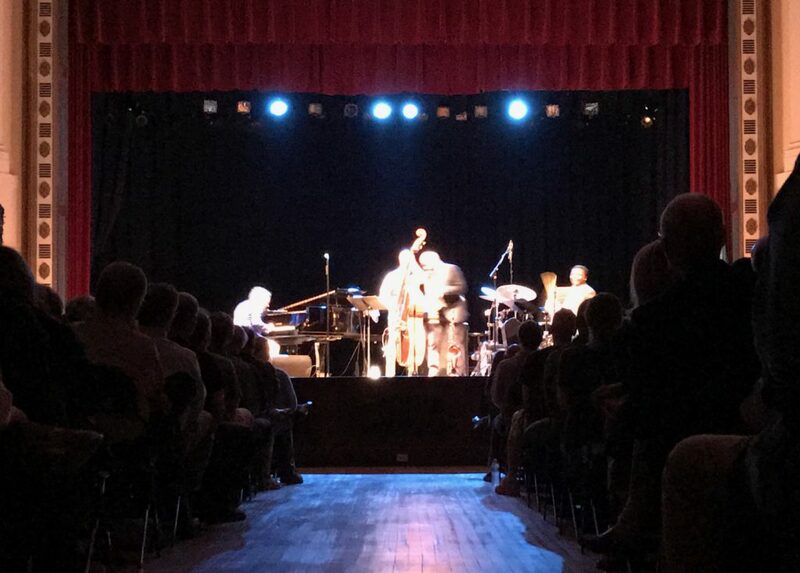 What struck me about the performance by the Branford Marsalis Quartet with Kurt Elling was the high level of talent in all the musicians on stage, and the high level of generosity from the leader. Joey Calderazzo in particular stood out for his range, going from high volume warfare with Justin Faulkner to atmospheric washes generated by plucking the strings of the piano to some moments of Bill Evans/Erik Satié inspired playing. Faulkner himself was a force of nature, dropping bombs left and right over the stage and performing incredibly complex fills. And Eric Revis was a solid pivot who proved in the encore of “St. James Infirmary” that he could play a solo of high complexity and sensitivity. Branford himself blew my socks off in a few moments, but mostly stood out for how well he accompanied Elling. Elling is an astonishing vocalist who was not on my radar before his collaboration with this quartet, but whose other work I’ll be seeking out.